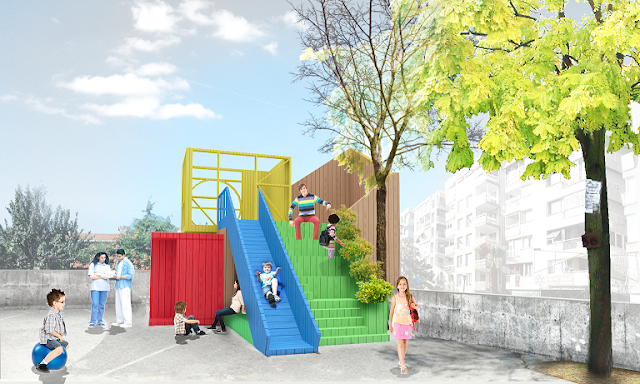 I just finished a text to be published in a magazine on the House of Toys project of Herkes İçin Mimarlık (Architecture For All). I wished that project become real but unfortunately, it buried into the memories. 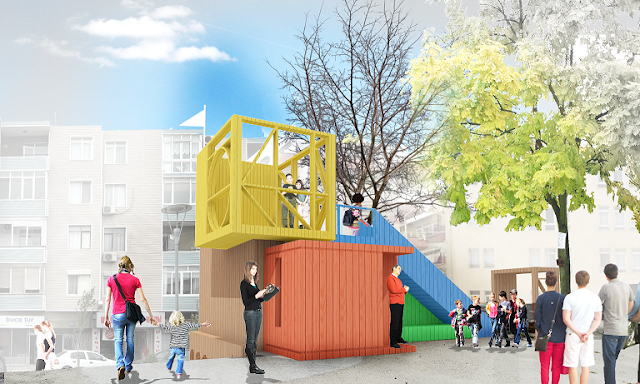 The school became an urban renewal site and the plan of creating a House of Toys is canceled. It was not the perfect process of participation I know but it worth to mention. The teachers of Pakmaya Elementary State School involved in a European Union project. Turkey, Greece, Portugal and Romania were collaborators. One School from each country worked together on traditional games and toys. 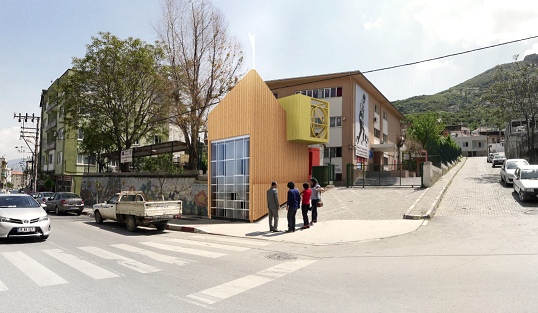 The teachers of this elementary school from Turkey asked us to get involved in the design process of a Toy House. They were expecting from us to create a structure in the school garden that will work as a workshop and educational space during the EU project. 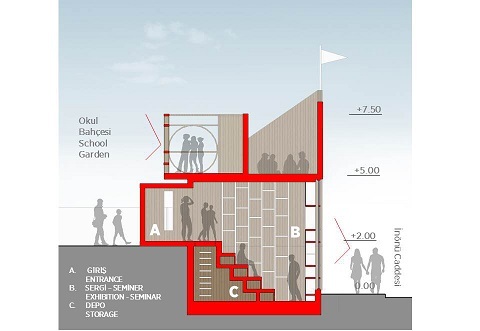 Afterward, the structure will be a public exhibition space for traditional toys and games. The schedule was quite short. We met in May and they expect to start the construction in August when the school is closed. As an association that works with participatory processes that was not ideal for us. But we wanted to support these proactive teachers work in a state school. Two games that we developed aimed to collect design data from teachers and students. We asked them what they want to have in the school garden. This question was only a conversation starter. While they were drawing members of the association should ask questions to the students to get deep in conversation. The initial purpose was to understand what they enjoy and want the most. We collected details on their experience of the school, school garden and life in town. Our approach to the teachers was different for sure. It was obvious that they discussed a lot on the House of Toys Project. we could sense tension related to the disagreements on the project of Toy House. Some of them had specific ideas on the outlook and the materials of the project and, they were not so open to negotiate those decisions. To destroy these restrictions on the conception of the project, we used an old game. We asked them to write some questions next to each other by dividing them with lines and create columns. The questions were: Who is the user? Who is the visitor? Who handles the maintenance? How are the toys exhibited? When is it open? Out of which material? What are its colors? What does it look like? Every teacher answered one question, fold the paper to cover the answered column and delivered the paper to the right. When all the questions were answered the one who wrote the last unfolded the paper and read all answers like a proper sentence. Unrelated ideas build a space of possibilities that is created by everybody. None of the sentences has a creator that should defense its meaning. At that point, all ideas can be discussed in a neutral mindset. All the data that we collected on the workshop day transformed into a proposal which is only an image of one of the possibilities. I still believe that it would be loved if it was built.